Modular School Buildings designed and built to meet full UK building regulations, Ofsted and planning approval. We offer flexibility through planning and design to ensure the needs of your teaching establishment are met with our Custom Designed Eco Friendly classrooms tailored to your school's individual needs. 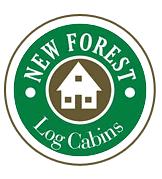 At New Forest Log we understand there are many ways of achieving your objective and will work with you to deliver the very best for your pupils and teachers alike. We offer school classrooms that are fully compliant with the requirements of OFSTED and UK Building Regulations including temporary buildings. CONTACT US for more information.